I’m not a huge fan of Valentines Day in general, especially right now, but the card my little sister sent me made me smile. 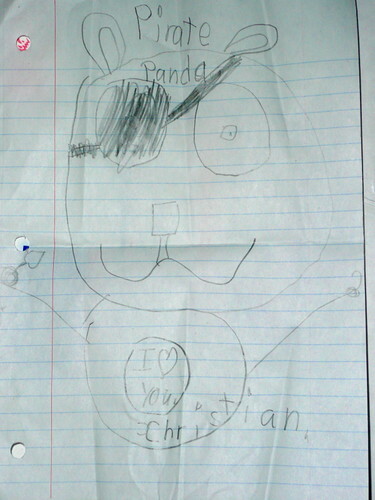 Did you get a Pirate Panda for Valentines Day? This entry was posted in Uncategorized and tagged Jenna, Valentines-Day. Bookmark the permalink. I did not. i did, however, get a Rock Pig.